Duncan Tumwa is a medical doctor at Gertrude’s Children’s hospital, Nairobi, Kenya. He is currently doing his residency in paediatrics at Kenyatta National Hospital in Nairobi. Duncan has extensive experience working in diverse health systems ranging from public, private and not-for profit organisations. 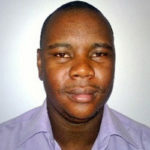 He is a graduate of the PATS MECOR programme and the PATS/ERS spirometry training programme. He has participated in training diverse carders of health care workers across Africa. Duncan has a special interest in paediatric pulmonology and advancement of spirometry practice and lung health across Africa through research and advocacy.